When you have found your dream home make sure you get an Infrared moisture inspection, so you know you are not buying a leaky home. If the house is a leaky home it may cost hundreds of thousands to fix. This could wipe out your saving for the last ten years. It’s a small cost to pay compared to the cost of leaky home repairs. We at City Line Infrared can undertake a full infrared pre purchase building inspection to check the condition of the house. Setting your heart on a beautiful five-bedroom, three-and-a-half-bathroom estate on the hill could set you up for disappointment if you don’t know what you can afford. Make a budget and find out how much you can pay a month, make sure you add in any maintenance/repair costs need that was highlighted in the building report. Think about your long-term plan when you’re exploring your mortgage options. You might be someone who never plans to buy another home, so maybe you’re more interested in a 30-year, fixed-rate mortgage. However, another couple might look at this home as a starter property that they only want to own until their second child is born. They might want an adjustable rate mortgage. Shopping around for a mortgage is also a good idea. 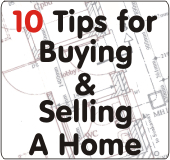 While there’s no way to know exactly what type of offer the seller will accept, when making your offer you should take into account several things. Knowing how long the house has been on the market, the asking price’s position related to comparable properties in the area, and even the number of available comparable properties in the neighborhood can make a difference. Realize that negotiation is usually inevitable, so be sure to leave a little leeway within that first offer. Make sure that your offer includes contingencies such as financing costs, lawyer fees and infrared moisture and building inspections. You don’t want to be bound to purchase a home if you don’t have enough money or that it turns out to be a leaky home. You’re in the home stretch. Only a few papers stand between you and getting the keys to your first home. But don’t get carried away. You may want to request a lawyer be sent a draft copy of any documents to preview before the actual signing takes place. This will take away some of those emotional jitters and also allow you a bit more time to make sense of what you’re signing. Don’t be shy — if you don’t understand something, then ask the professionals to explain it further. 8 – Check the Neighbours out. You are going to be living there, make sure the people next to you are people want to live next to. Neighbours can make your life hell. Come back to the property at different times during the day and night to see if there are any big parties or other activities that may affect the way you live your life. A Land Information Memorandum is a report available from the Council upon request, which provides information from our records on a property and its land. Anyone may apply for a LIM and it’s a good idea to do so if you’re planning on purchasing a property. A LIM may assist you in determining if a property has any restrictions or whether your intended use of the land is feasible. This will take out the emotional part of buying a house. You will have an independent idea of what the house is worth and if you are paying to much. Don’t let your emotions get the best of you at an auction and allow you to pay to much. Know what you will bid to and stick to it. There are always other houses out there.